PerryWinkle’s is an upscale gift shop located in the West Cobb suburb of Atlanta. 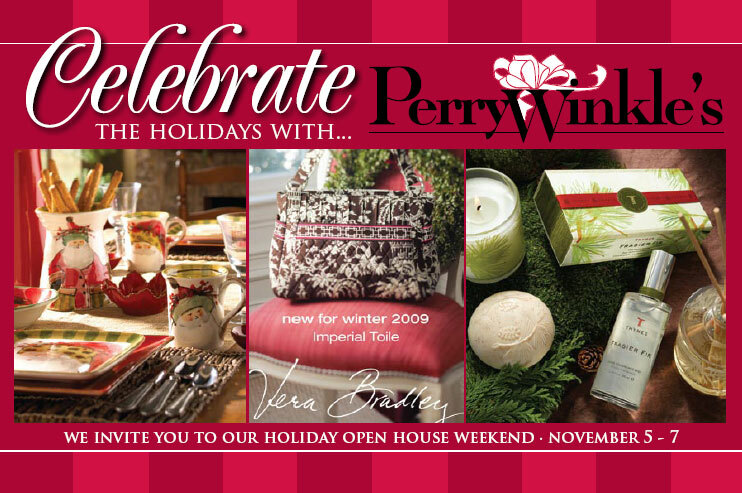 The Creative Edge started working with PerryWinkle’s before they opened in 2003 to plan their Grand Opening, and continue to coordinate all of their advertising, marketing and public relations projects. The store celebrated its 5th anniversary in 2008 and far exceeded its 5-year projections in sales and customers. PerryWinkle’s was named “Atlanta’s Best Gift Store” by Atlanta Magazine in 2007 and continues to receive accolades from the community. Despite the economic downtown that closed the doors of many small retailers, PerryWinkle’s continues to thrive as a result of their strategic marketing plan.